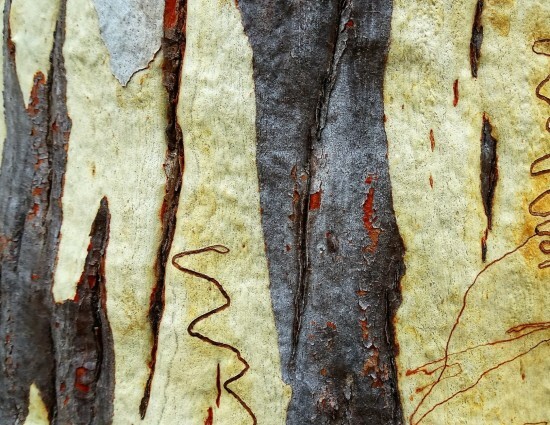 Rookwood General Cemeteries Reserve Trust (The Trust) is pleased to announce that submissions are now open for Flickering Stone, an exhibition of video and moving image art that will be exhibited as part of Hidden – A Rookwood Sculpture Walk. This is a new component to Hidden. The Trust invites artists from culturally diverse backgrounds and with an interest in heritage to apply. The Trust is interested in exhibiting video and moving image art that responds to themes surrounding the Rookwood site, such as history, culture, remembrance, and love. This could include grief, loss, mourning, spirituality, the environment, and different cultural beliefs around burial, memorialization, end of life, and how cemeteries could look in the future. Hidden is Rookwood General Cemeteries Reserve Trust’s signature annual event. Now celebrating its 10th anniversary, Hidden was established to encourage public use of the historic Rookwood Cemetery. It enables the greater community to explore Rookwood Cemetery – the oldest, largest, and most multicultural cemetery in Australia. The exhibition is a platform for community engagement. While it remains respectful of its purpose and place, it aims to de-mystify some of the misconceptions surrounding cemeteries as dark and intimidating settings. This year, over 40 sculptural artworks will be placed in amongst the graves at Rookwood Cemetery. For the first time, a new digital component will be added to the exhibition. Visitors to Hidden will be invited to sit and contemplate video artworks within our historic American War Pavilion. Awards are valued at over $2,000. 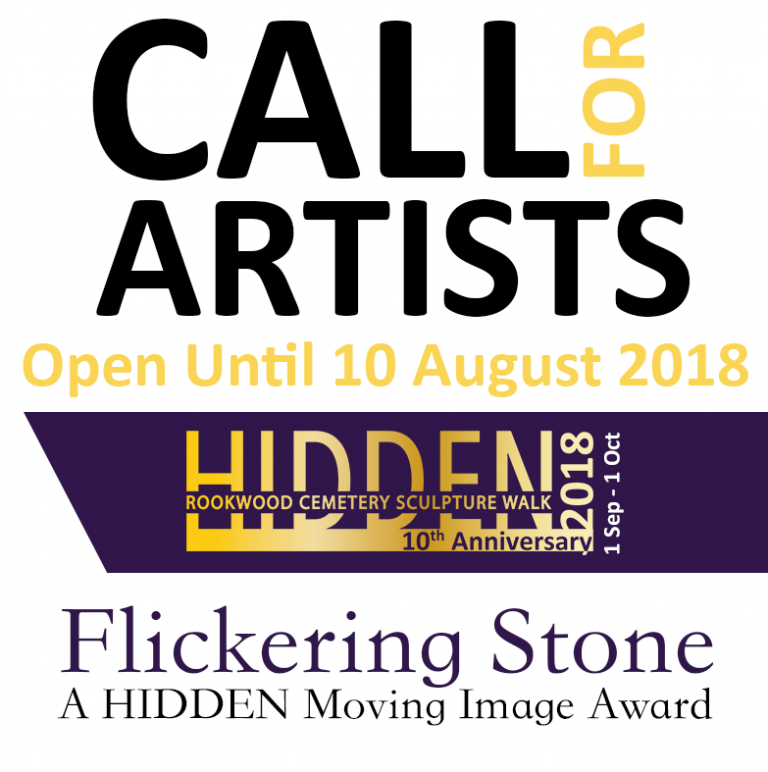 Flickering Stone Award awarded to the value of $1,000 USD. Peacock Gallery Moving Image Awards valued at $500 AUD each. Hidden is continuing, year-on-year, to grow in popularity and has firmly established itself as part of the Sydney outdoor sculpture event calendar. Hidden 2017 saw tracked visitation double (with around 5,000 people visiting the exhibition) and media coverage increase three-fold. Steeped in history and reflecting the cultural diversity of wider Sydney, Rookwood Cemetery is a tranquil and fascinating place of historical significance and considerable natural and built beauty. With a total area similar in size to the Sydney CBD, Rookwood is the largest cemetery in the southern hemisphere and the largest Victorian cemetery in the world. Having been established in 1867, today it is the final resting place for more than a million people. Each year over 2,000 interments and commemorations are performed, representing the vast majority of religious and cultural groups throughout Sydney. For more information, contact curator@rookwoodcemetery.com.au. Previous call for artists from Rookwood Cemetary. Bilpin International Ground for Creative Initiatives (BigCi) announces a call for artists for the BigCi Environmental Awards 2018. The two winning artists will each receive four free weeks of BigCi residency and AUD$2,000 spending money. In addition, up to AUD$2,000 flight travel subsidy will be shared between the two winners. 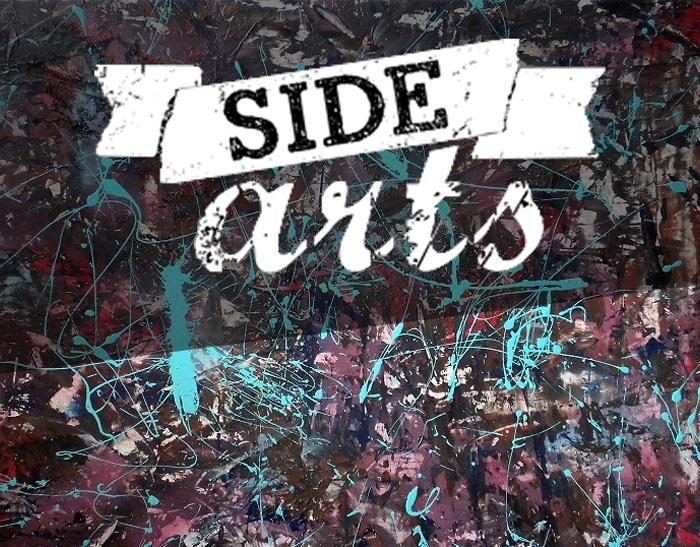 BigCi is an independent, artist run, not for profit artist residency program with a focus on supporting practicing artists by facilitating their projects. BigCi is flexible in the range of creative initiatives, personal in working with individual artists, quick in making decisions, energetic in development and implementation of projects, and keen to be involved in multidisciplinary collaborations. Situated on the edge of the Unesco-listed Wollemi National Park, part of Greater Blue Mountains, BigCi is near Sydney, Australia. Bayside Council invites submissions from artists to take part in the Sculptures At Bayside 2018 7th annual exhibition for temporary public artworks. Proudly sponsored by the Sydney Airport and Cooks River Alliance. Successful artworks will be displayed during the Bayside Arts Festival along the Cook Park, Kyeemagh Foreshore from Sunday 15 April to Sunday 29 April 2018. Entry is free. Artists may submit up to three artworks to be considered by the Selection Panel. This year an acquisitive prize of up to $50,000 will be introduced. It will be awarded by the judges to the most outstanding eligible sculpture submitted. 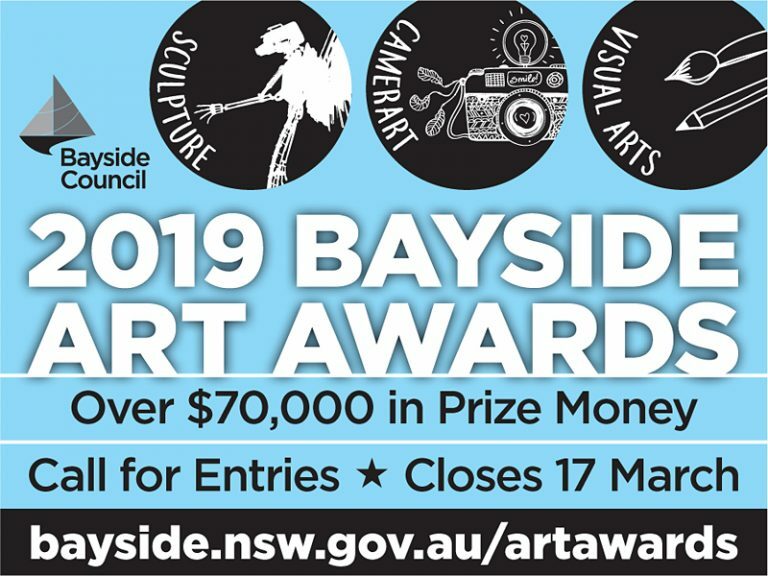 Artists submitting to Sculptures at Bayside 2018 will be able to opt in to be considered for the acquisition prize; however, not every entry may be eligible. 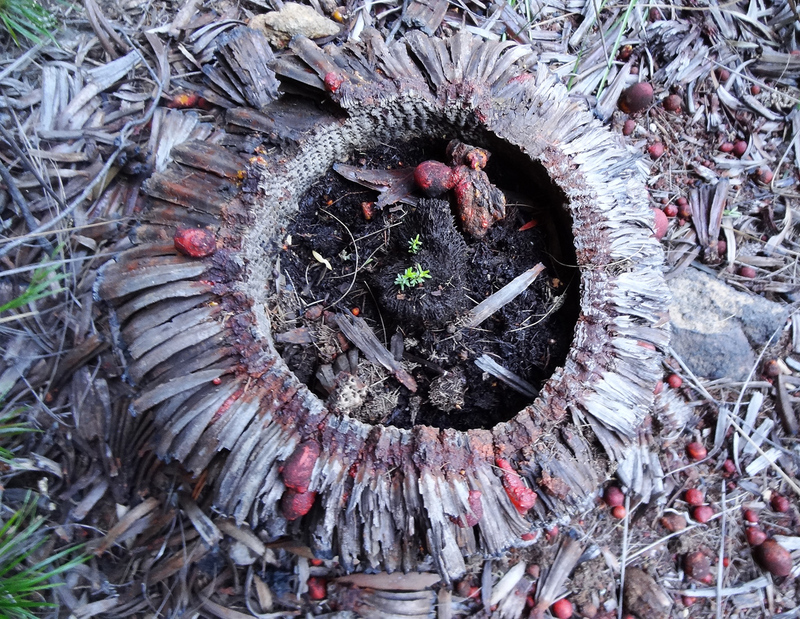 Sponsored by the Sydney Airport and Cooks River Alliance. No commission on sales. All sales to be negotiated by the artist. Bayside Council strives to provide leadership in the community, assisting Bayside communities to identify, articulate, and achieve community and social goals. The Council embraces the concept of community capacity building: that is, facilitating the ability of community members, governments, and businesses to take the steps to find solutions to issues in their own communities. For more information, contact caroline.cortes@bayside.nsw.gov.au. 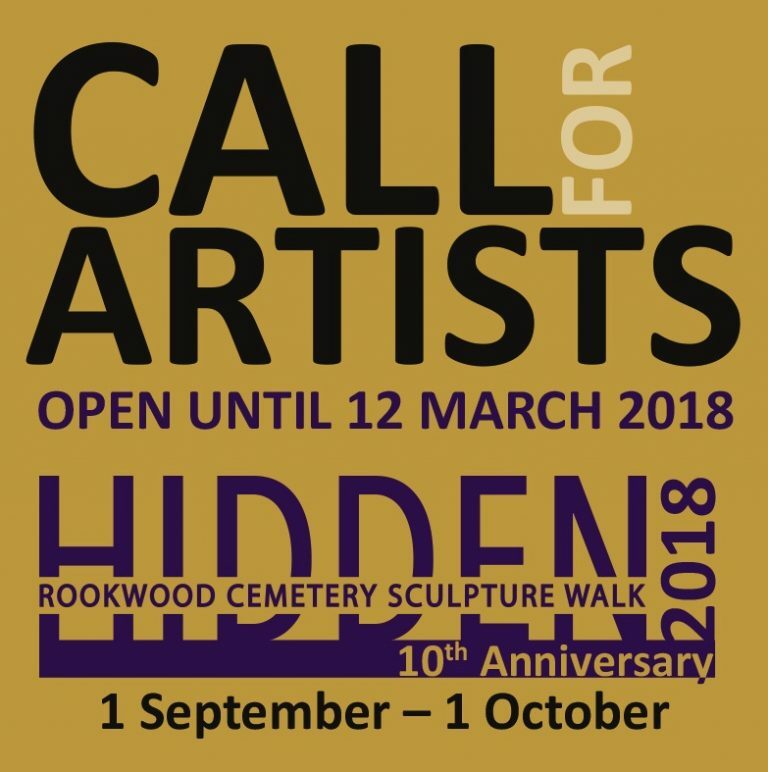 Rookwood Cemetary announces a call for artists for Hidden 2018, the 10th anniversary of the Rookwood Cemetery Sculpture Walk. The exhibition runs from 1 September to 1 October 2018. Hidden is Rookwood Cemetary’s signature annual event. Hidden was established to encourage public use of the historic Rookwood Cemetery, the oldest, largest and most multicultural cemetery in Australia. The exhibition is a platform for community engagement. It remains respectful of its purpose and place. It aims to de-mystify some of the misconceptions surrounding cemeteries as dark and intimidating settings. Hidden 2018 is an outdoor sculpture exhibition that provides artists with the opportunity to showcase their work in Australia’s most historic and culturally significant cemetery. Rookwood Cemetery is interested in exhibiting works that respond to the themes surrounding the Rookwood site such as history, culture, remembrance, and love. They are interested in applications that are inspired by the sculpture walk’s 10th anniversary. This may include, but is not limited to, notions relating to the changing role of public interaction with cemeteries over the past ten years such as the reinvention of graveyards into active parklands. Other themes include an exploration of where we see ourselves as a community in terms of conversations around end of life and how cemeteries could look in the future. Rookwood Cemetary is open to a wide range of artistic approaches. Artists can choose to approach the themes in a representational, conceptual, symbolic, or abstract way. Artists may propose works yet to be made or existing works that relate to the exhibition themes produced post-September 2016. Hidden 2017 saw visitation double with just under 5,000 people visiting the exhibition. Media coverage increased three fold. Hidden is continuing, year-on-year, to grow in popularity. It has firmly established itself as part of the Sydney outdoor sculpture event calendar. 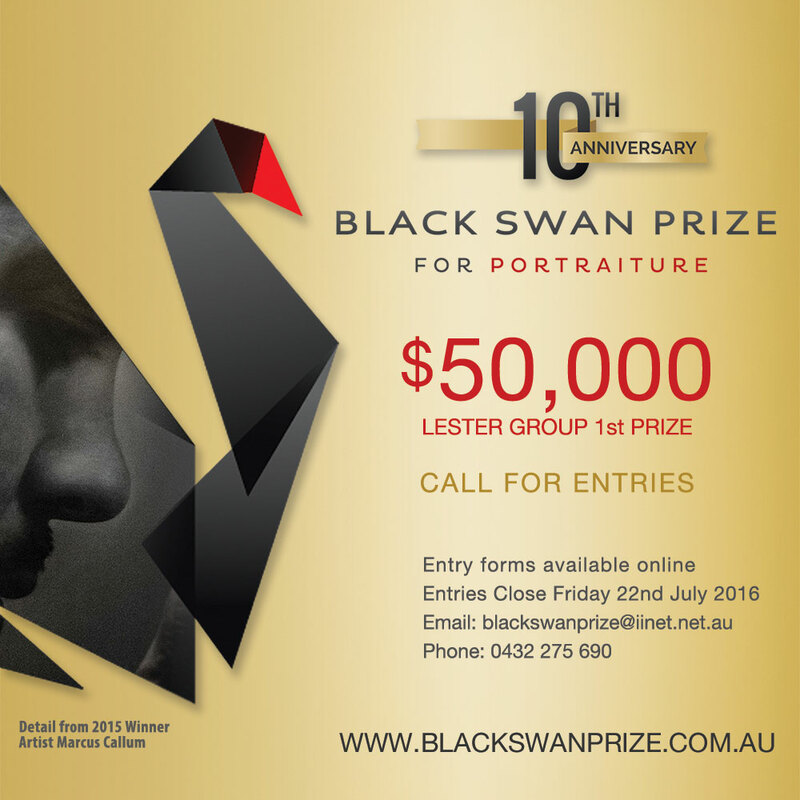 ARTrinsic invites artists from across Australia to enter the 2016 Black Swan Prize for Portraiture. Artists will be vying for the coveted $50,000 Lester Group Prize, the $7,500 People’s Choice Prize, and two $500 art gift vouchers from H.U. Kendall & Co.
ARTrinsics purpose is to deliver high quality and innovative events/programmes for the greater community to engage in, thus encouraging and promoting the visual arts. For more information, contact blackswanprize@iinet.net.au. BigCi announces a call for artists for the Environmental Awards 2016. For your project during the BigCi residency, you can choose to deal with a particular environmental issue, explore ideas and concepts related to nature, or use this opportunity to creatively respond to the unique wilderness on our doorstep. The two winning artists will each receive four free weeks of BigCi residency and AUD$2,000 spending money. In addition to that, up to AUD$2,000 ARTFLIGHT travel subsidy will be shared between the two winners. BigCi is located only 1.5 hours drive from Sydney, Australia’s biggest city, yet it is in a dramatically different world – on the edge of the Wollemi National Park in the UNESCO World Heritage-listed Greater Blue Mountains. This is an area of stunning scenic beauty, with its own unique flora, fauna, and geomorphology. For more information, contact sculptor@raebolotin.com.